Welcome to LLTeK’s 3 Series BMW E90 body kit styling index. 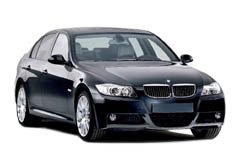 The BMW E90 series replaced the 3 series E46 in 2005 (North American model 2006) and is expected to run until 2012 at which time the “F30” series is strongly rumored to make its debut. There are 4 categories within the E90 grouping that include the sedan (saloon) E90, coupe (two-door) E92, coupe/cabriolet (convertible)E93 and touring (estate/station wagon) E91. 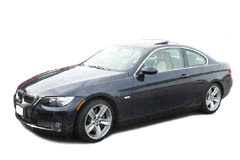 LLTek offers the Rieger styling program for all except the Touring E91 model. Enthusiasts can choose and personalize from a wide array of body kit options to modify the appearance and performance of this world class car with world class product. 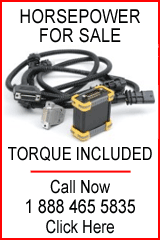 Pictures, descriptions and pricing of aftermarket bumpers, spoilers, skirts, wings and wheels are a click away. Choose from links below - Click on your BMW model below - if you have any questions regarding what you see, give us a call: an LLTeK Rep will answer your questions. Business hours are Monday - Friday 8:30AM to 5:00PM ET or international -05:00 GMT. Callers in North America can reach us toll-free at 1 888 465 5835 while international phone calls will be answered at 001 514 733 6333. Call for your quotation today! Rieger Tuning offers the best in choice for bumper upgrades. Sideskirts and rear valence exhaust configurations also translate into choice. Ask about Rieger parts for BMW that feature the “carbon look” and LLTeK MatchPaint professional paint service - parts shipped to your door - ready to install. The coupe made it to North America in August of 2006 as a 2007 model - one year after after the sedan made its debut. LLTeK offers an extensive range of options for this machine including trunk spoilers, carbon fiber mirror shells, front lip splitters - all in addition to skirts and bumpers. 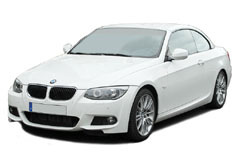 BMW uses the the acronym “LCI” (Life Cycle Impulse) to indicate styling changes that are usually cosmetic or facelift. Side-by-side reference also reveals LED “angel eyes” and a slight widening the of the classic kidney grille work. The hardtop with a retractable roof which is considered to be “best in class” was refreshed or facelifted in March 2010 with changes to front and rear bumpers, grille width plus LED lighting front and rear - Rieger has a bodykit for this car that more than merits your consideration. See link below. 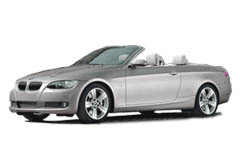 The BMW cabriolet has more in common with the coupe than the sedan and in the current 3 series, the droptop is more expensive than either. 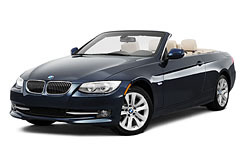 Click on the link below and see what’s possible when Rieger tunes a fine car like the BMW cabriolet. Direct from Germany to meet your expectations. Note: BMW E93 cabriolets now feature folding aluminum hardtops; the traditional fabric and frame soft top is history.